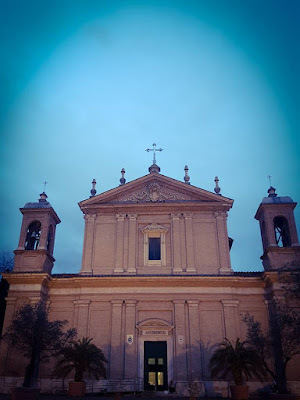 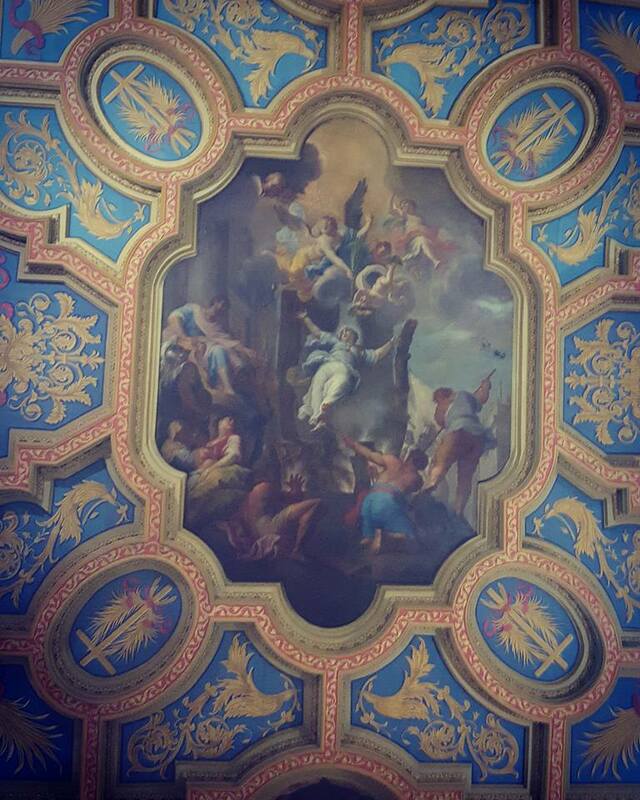 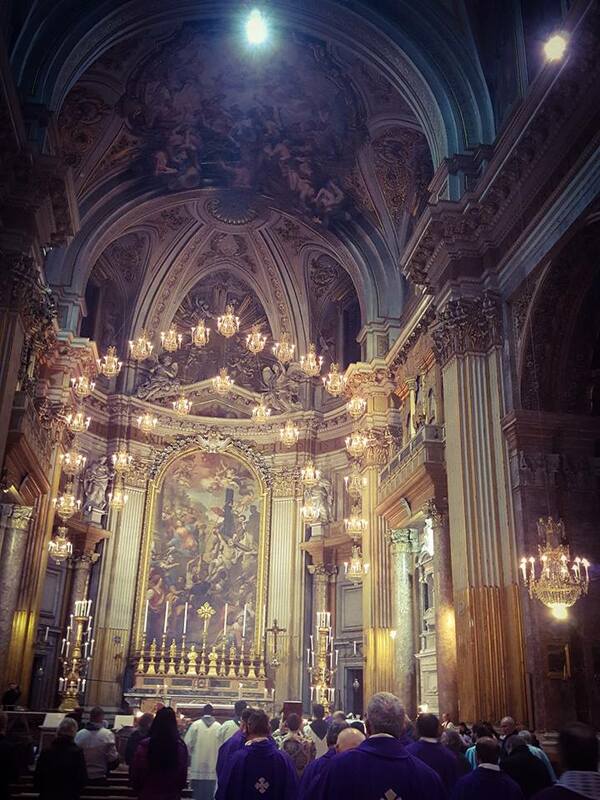 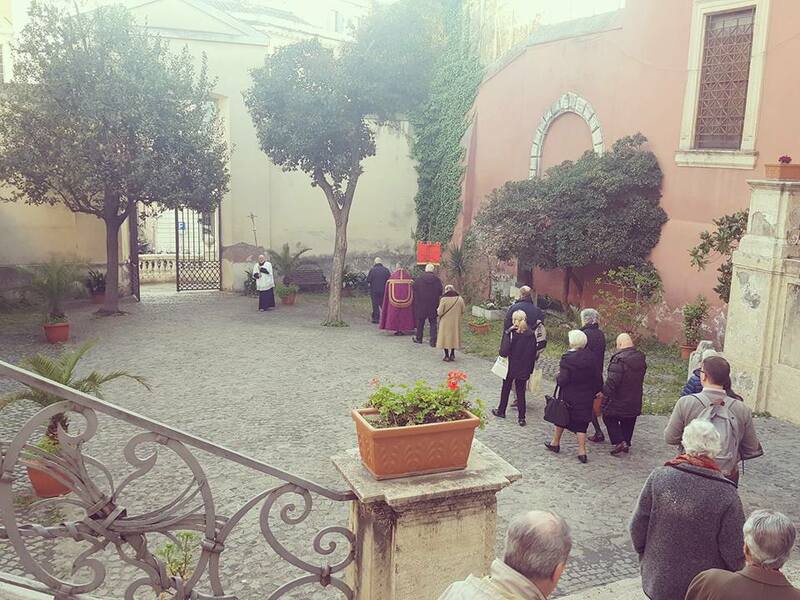 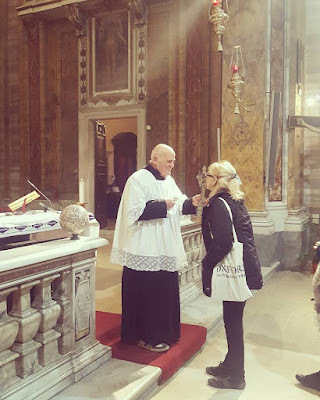 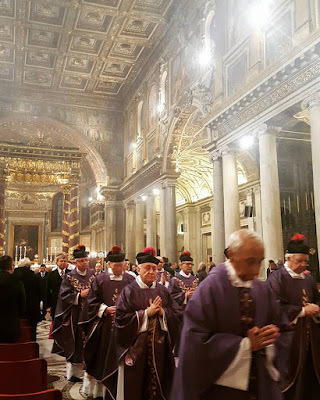 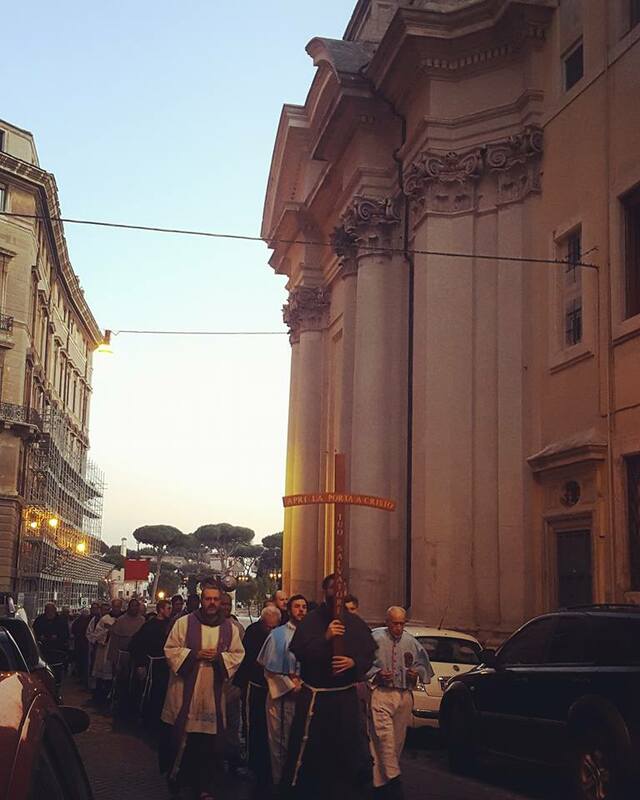 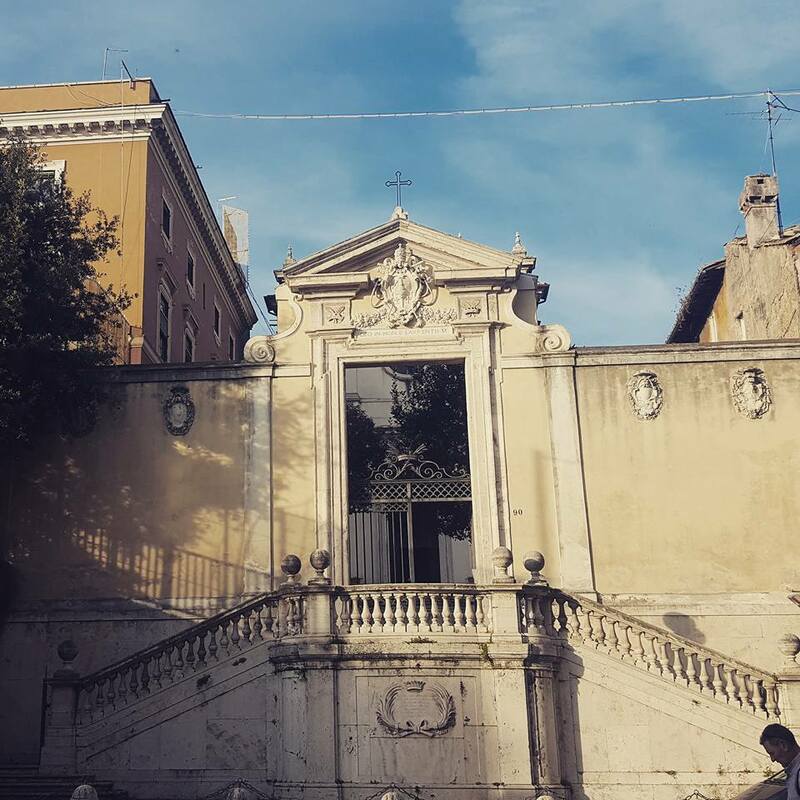 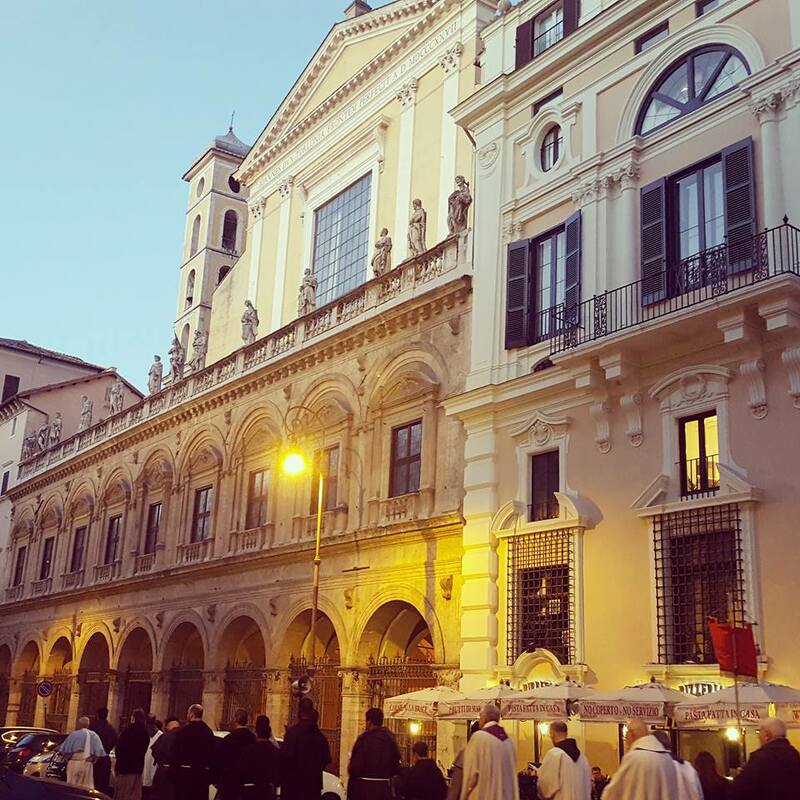 We continue our annual visit to the Lenten station churches in Rome with our friend Agnese. 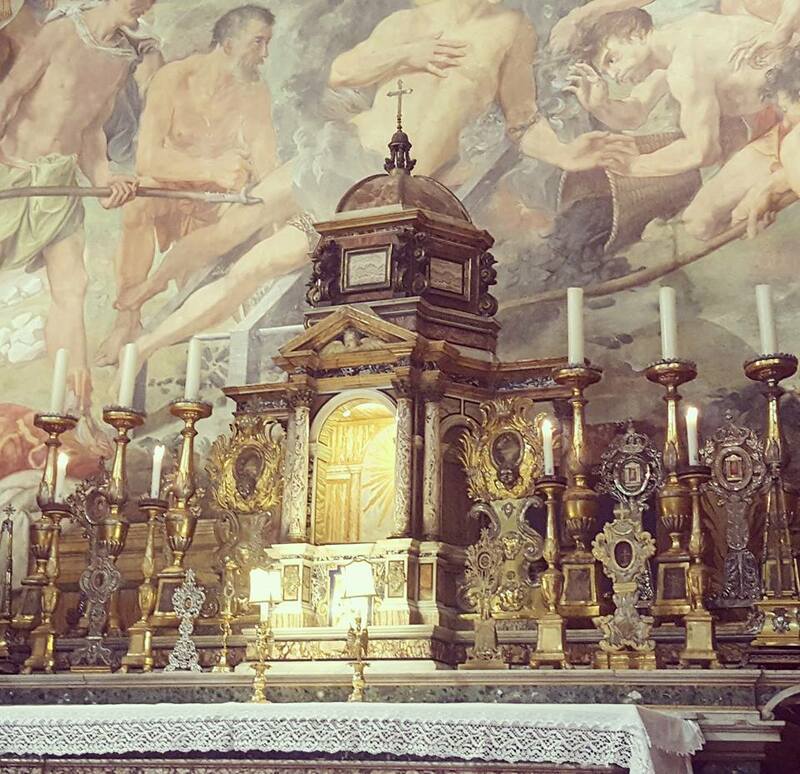 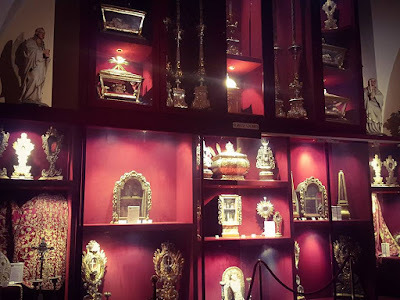 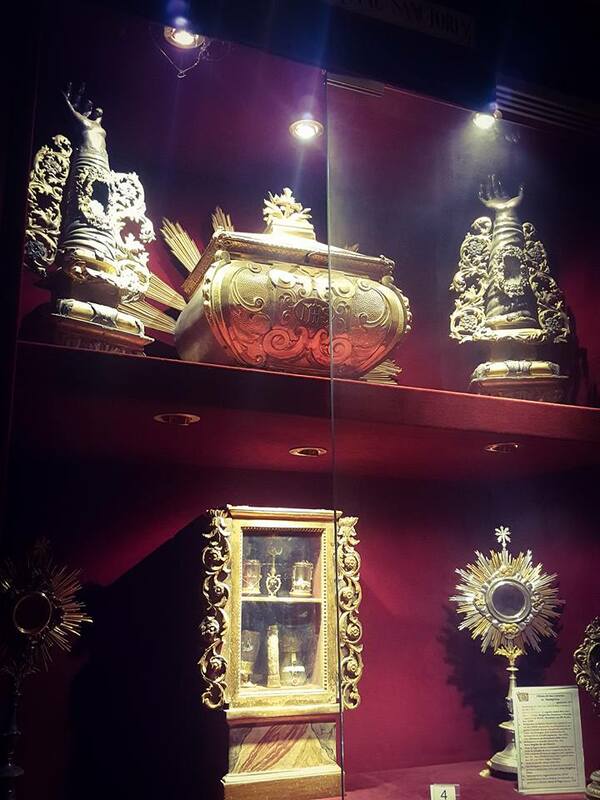 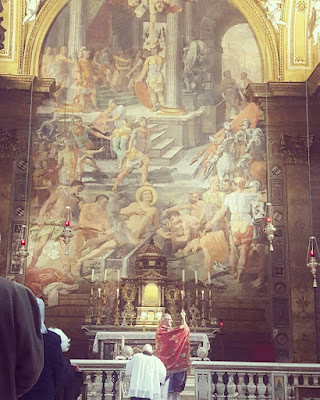 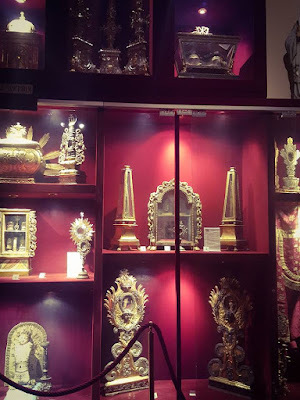 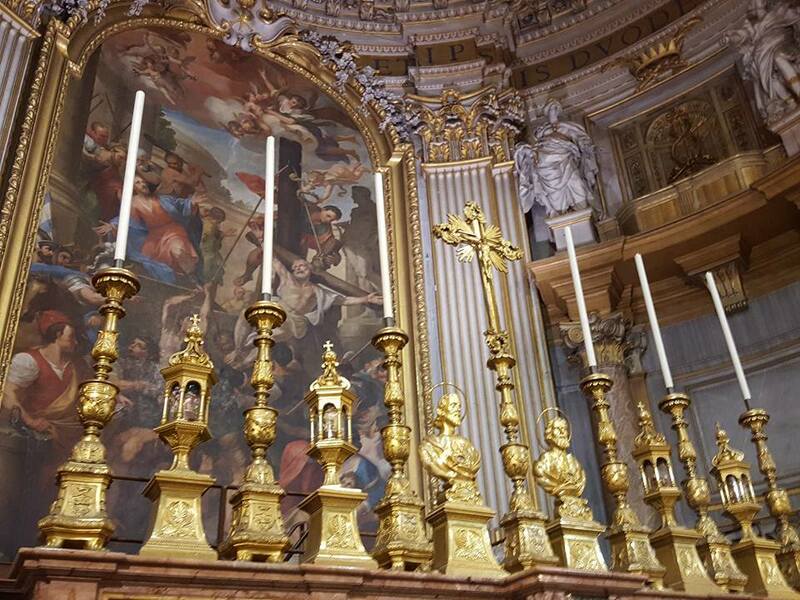 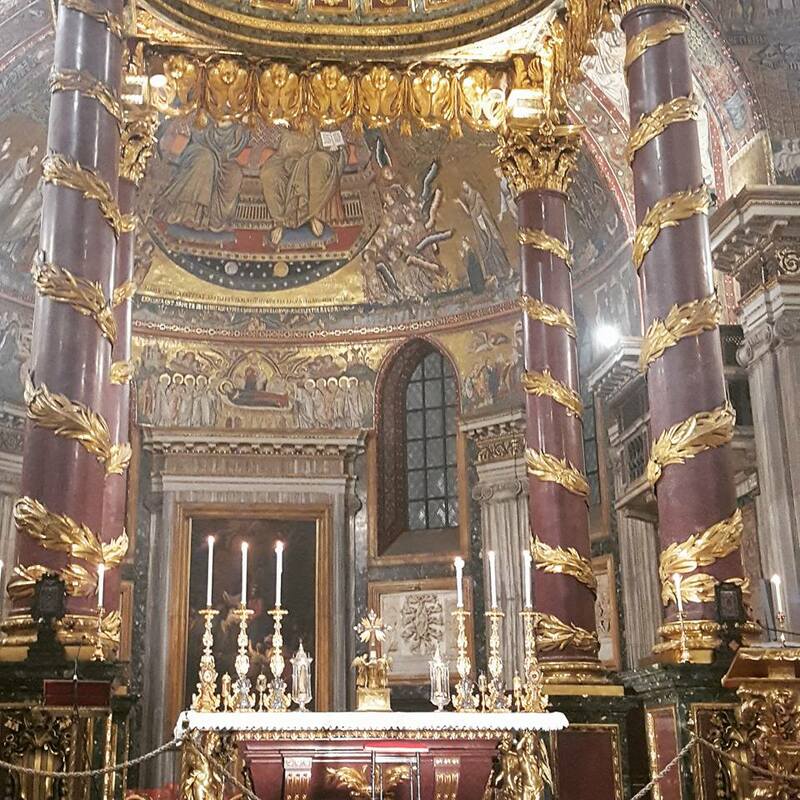 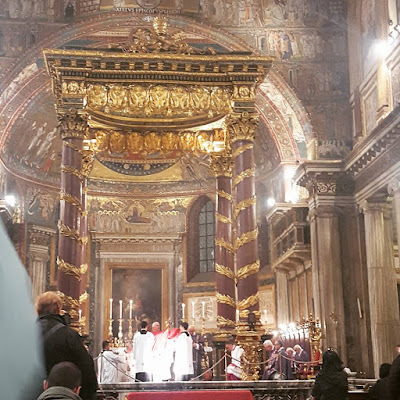 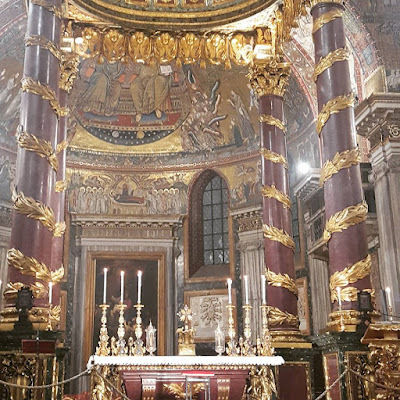 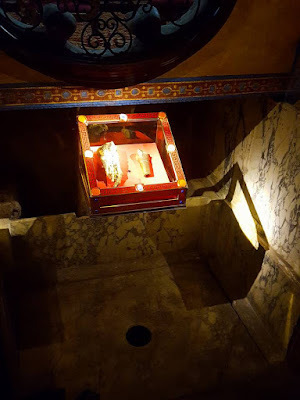 Here we see the basilica of St Mary Major with its customary set-up of reliquaries on the main altar, and part of the amazing relic collection of St Lawrence in Panisperna, as well as procession on Friday from the church of the Most Holy Name of Mary at Trajan’s Forum to the station at the church of the Twelve Apostles. 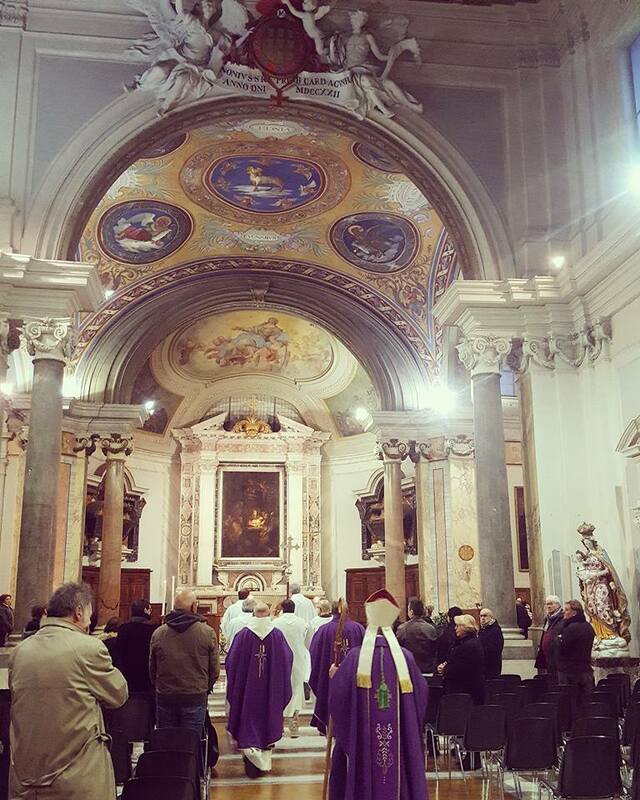 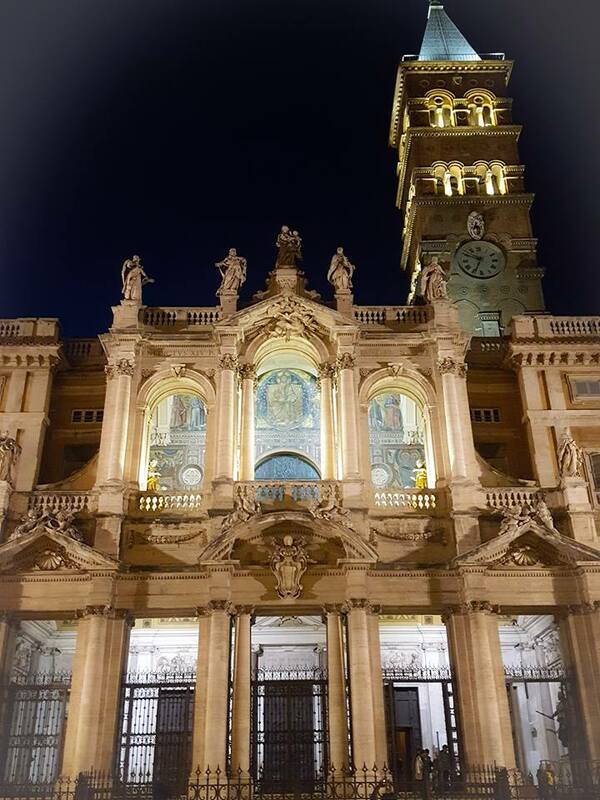 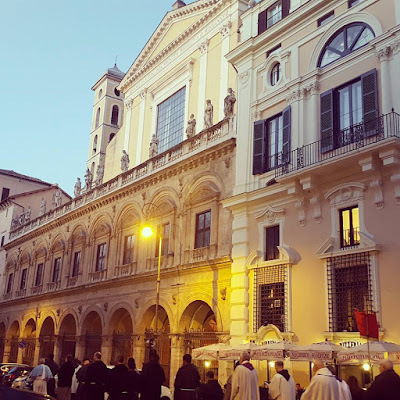 The church of Sant’Anastasia is also the station for the second Mass of Christmas day, in honor of the titular martyr who shares the day of her birth into heaven with the day of Christ’s Birth into this world. 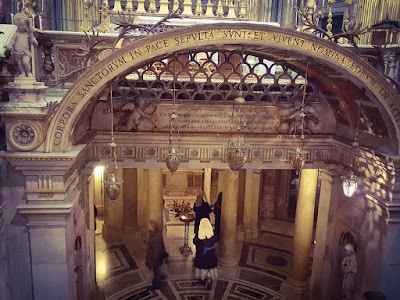 A great view of the large crypt area under the main sanctuary of the church, where the relics of many martyrs, including those of the Apostles Ss Philip and James are kept.